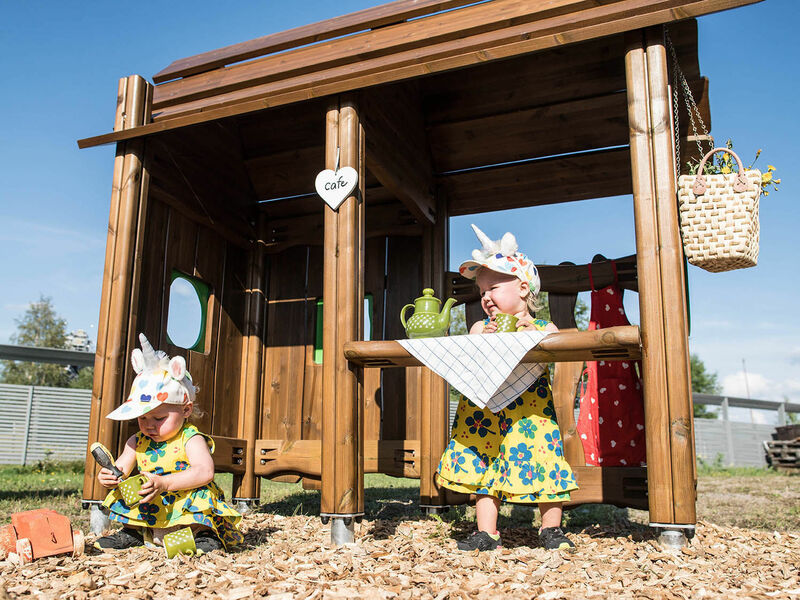 This exciting Forest House is designed for children and is perfect for all types of games. The hut has enough space for several toddlers at once. The Forest House is fun as a self-standing feature or together with other Troll Village buildings. 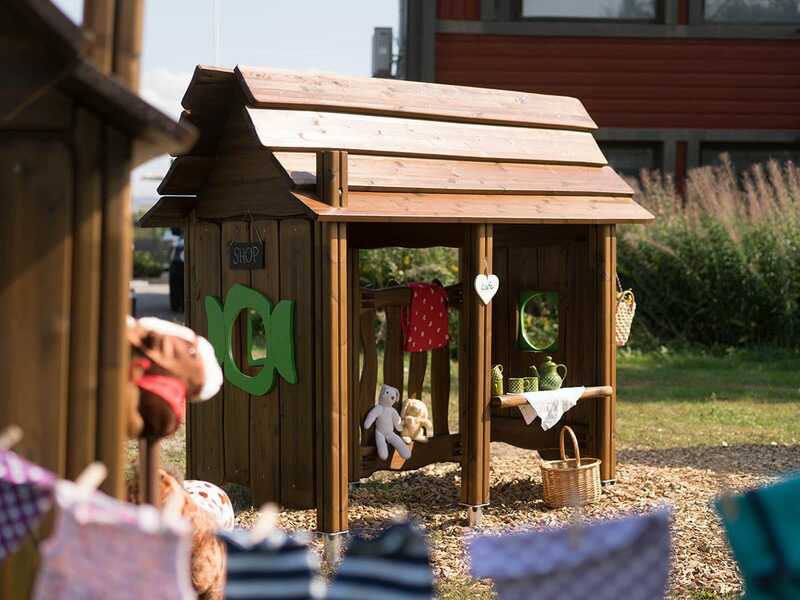 The hut can be fitted with additional features so that children can use it for their role play and other games. One of the two long sides of the hut is entirely open. The boarded walls have windows for easy supervision children at play. 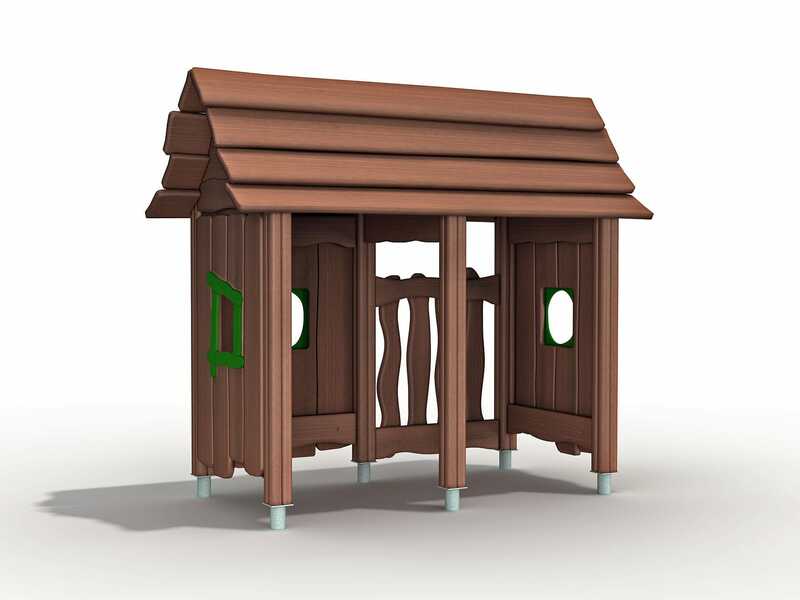 The steeply pitched roof and curved roof plane are influenced by mediaeval Scandinavian designs. The hut is open on one side and has three boarded walls with windows and a fence on one side. Green window frames give a bright accent of colour. A chimney crowns the playful design.